Just like a pocket secretary, your cell phone organises your contacts, take message, screens your calls and adds an important stage to the dating process called the "Phone Game". The Phone Game, when applied correctly can be seen as an "extra life line" to right some wrongs as it partially give you another chance. One a weak phone game can be hazardous, causing a woman who was initially "into" you to second-guess herself, or even change her mind. Improving your phone game can dramatically boost your chances of getting a date. It can also improve the quality of the date by exciting a woman beforehand. Therefore, it's safe to say, learning to use your phone in an attractive way, will boost your dating success, and improve the way you communicate with women. When using the phone, time's on your side. There's a relatively low pressure on you, and everything happening over the phone happens slower than in a face-to-face interaction. Leaving you enough time to watch you steps as you proceed. 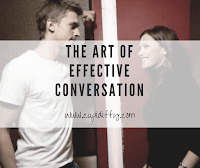 You can put more consideration into what you say, what she says and how you respond. These low-pressure situations earn you better communication with women. By recognizing tapping into this "life line", you'll enjoy a significant boost in your dating success and take your game to the next level. Drop your comments. 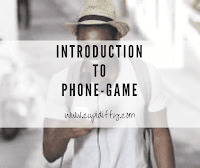 I'd love to answer questions that would help boost your PHONE GAME and dating success.